With summer just around the corner we need a great way of staying hydrated and making sure our bodies get all the essential minerals for supporting their natural detox functions. My favorite drink during summer is definitely cucumber water. I love to play around with different flavors and ingredients, and I’m sure you will too once you see how easy it is. 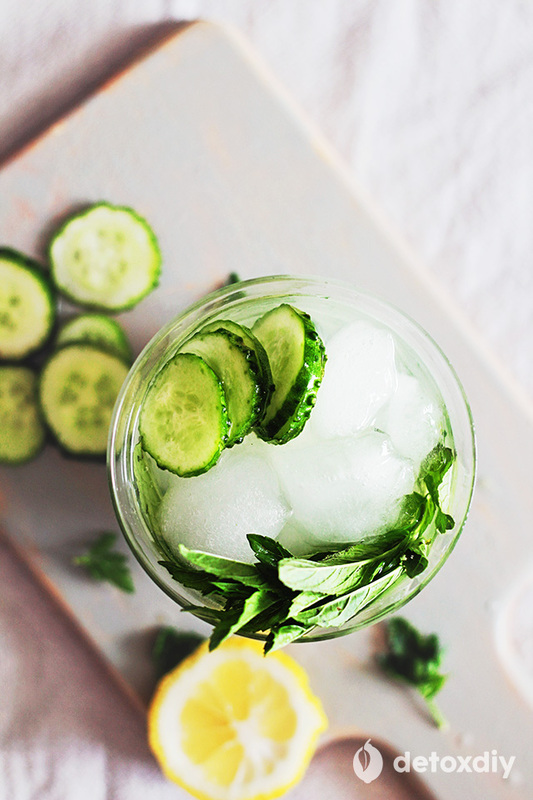 It seems that cucumber always makes its way into infused water combinations. Its fresh flavor, high nutrient load, and gorgeous green color is the perfect pairing with herbs and fresh fruits in a cooling infused water. Cucumber is not only a genuinely hydrating vegetable, but also a natural diuretic and a great source of essential vitamins, minerals, and antioxidants. When added to purified water and left to infuse overnight, all of its cleansing nutrients are released and your body is immediately hydrated, nourished, and toned just by drinking the water. Its antioxidants and anti-inflammatory compounds, flavonoids, lignans and triterpenes, act as a barrier against damaging free radicals and cancer-causing substances. They have hydrating and nourishing properties that help your body regulate its temperature during hot days, so you won’t lose water through excess sweating and stay hydrated instead. This helps to regulate blood pressure and can help prevent cardiovascular problems like stroke or heart attack. Its diuretic effect helps your kidneys to eliminate toxins from the body. Cucumber contains minerals like manganese, potassium, and magnesium that support the balance of activity of the body’s cells, giving you energy and ensuring your organs work at their fullest potential. 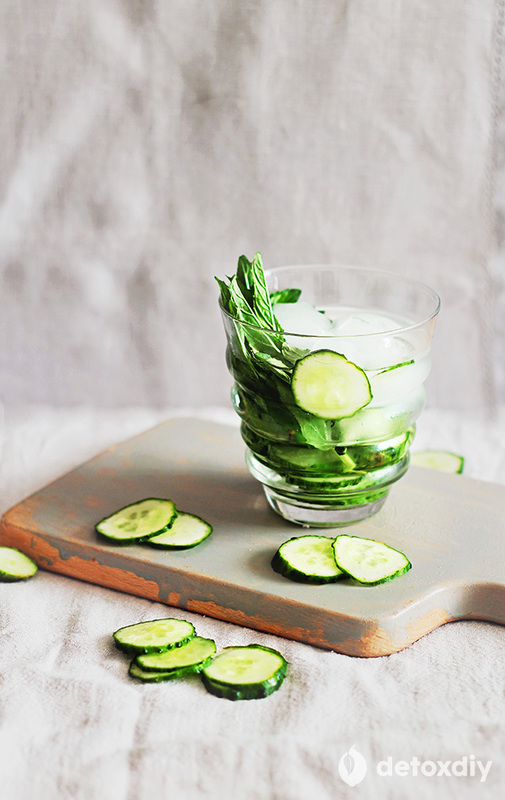 These cucumber water recipes also have antioxidants, anti-Inflammatory and anti-cancer benefits from vitamins, minerals like manganese, and beta-Carotene. Powerful antioxidant compounds in cucumber support your liver’s ability to neutralize free radicals and also has anti-inflammatory properties. Any help you can give your liver pays big dividends in your ability to get toxins out of your body, and these waters help in a number of ways. Antioxidants called lignans feed the good bacteria in the colon, helping with digestion and elimination. Your digestive system and your liver are your two most important detox systems, and by drinking infused waters you are helping them both. Your bowels work better when you’re properly hydrated, which reduces the chance of constipation which can help remove even more toxins by keeping you regular. 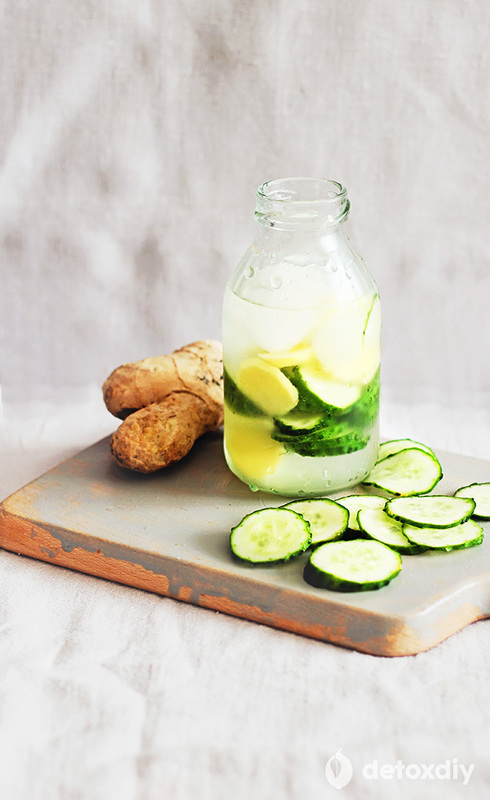 My favorite cucumber infused water combinations include fresh fruits and herbs, which add extra flavor and a nutrient kick to these hydrating drinks. While cucumber and mint is always a great pairing, parsley, ginger, strawberries and lemon are excellent additions containing even more antioxidants, vitamins and minerals. Fill a pitcher with water and add the sliced cucumber, lemon and parsley leaves. Refrigerate overnight or at least one hour before serving. 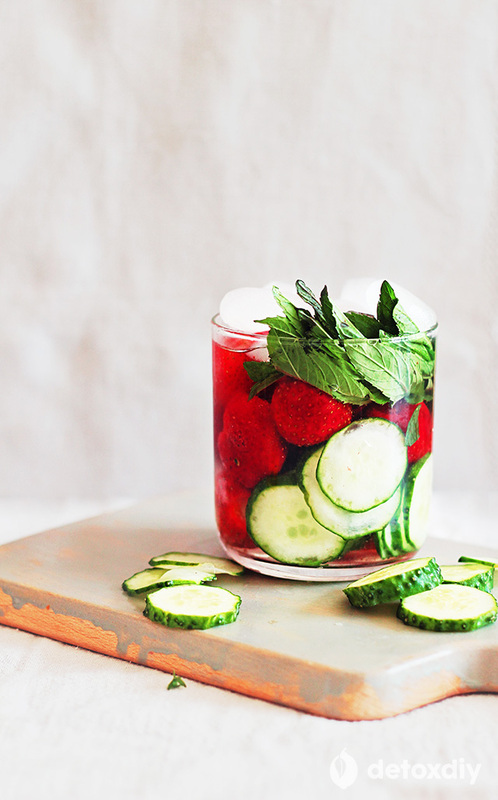 Fill a pitcher with water and add the sliced cucumber, strawberries and mint leaves.Refrigerate overnight or at least one hour before serving. Fill a pitcher with water and add the sliced cucumber and ginger. Refrigerate overnight or at least one hour before serving. Fill a pitcher with water and add the sliced cucumber and mint leaves. Refrigerate overnight or at least one hour before serving. 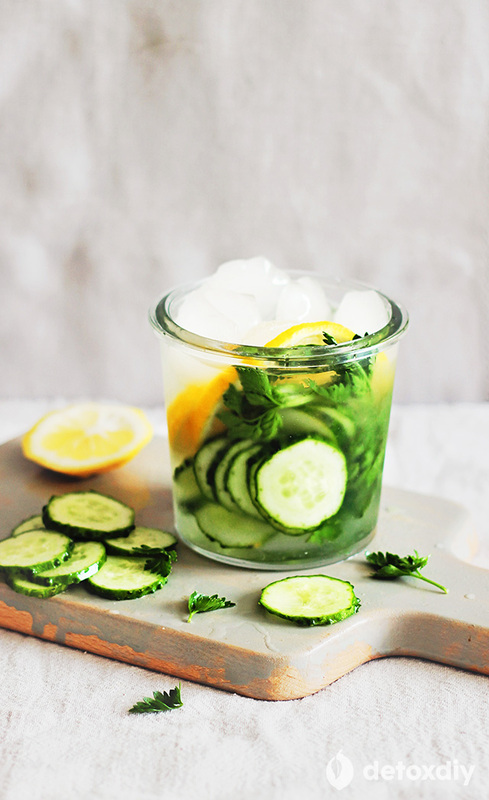 I would like to try the cucumber with lemon water detox drink. I am wondering how often and how many ounces I should drink a day and how many days. Also, do you eat while drinking this particular drink?